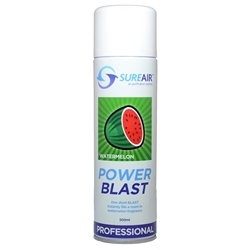 This powerful bubblegum scented aerosol spray will quickly and effectively eliminate any odours that can linger outside your grow room. 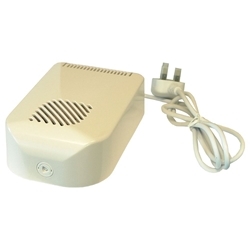 The Hydrozone Ozone Generator combats bad odour in a safe and effective way. 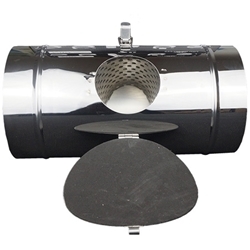 Ona Blocks are perfect for neutralising smells in confined spaces or around your grow room. 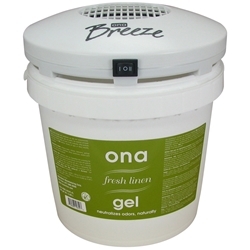 Ona Gel can help massively with combating smells outside your grow room. Ona Mist is an aerosol spray which effectively eliminates odours which may escape from your grow room. Capable of servicing areas up to 170 sq. meters, the Ona Mist Dispenser is an effective way of neutralising odours outside your grow room. 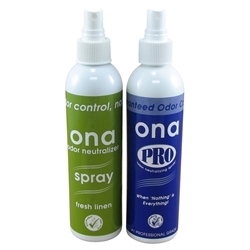 Ona Spray can be used as a quick remedy for any unwanted smells near your grow room. 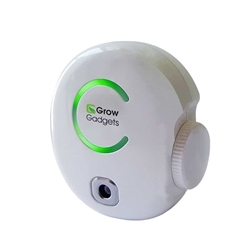 Grow Gadgets Plug-in Ozone generator (Air-Purifier) is a highly effective air purifier that produces electro-charged ozone to eliminate smells and odour in your growing space. When pollutants such as odours, bacteria and viruses come in to contact with the ozone they are destoyed by oxidation. The plug in Ozone Generator penetrates carpets, walls, light features and air ducts- therefore completely removing unwanted smells. 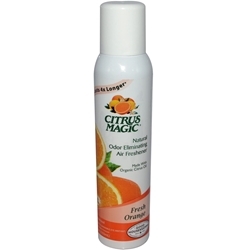 Citrus Magic spray is a very effective deodorising spray made from organic oils which comes in a non-aerosol pressurized can. A quick blast of Citrus Magic spray eliminates unwanted odours naturally and lasts for up to 4 times longer than most other deodorizing sprays. Keep a can handy just in case! The products on this page are designed to combat those odours that can overwhelm your grow room or surrounding areas. The Ona range provide gels, blocks and sprays which can all be very useful to remove those unpleasant and unwanted odours. 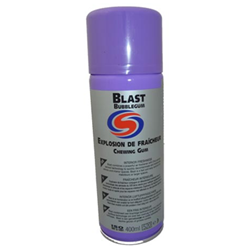 We also sell ozone generators and odour prevention products from a variety of other manufacturers.